A new community group has been formed to bring a new lease of life to Stourbridge Junction and Stourbridge Town railway stations – and it’s looking for new members. 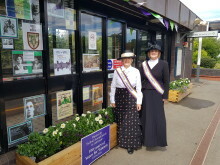 Friends of Stourbridge Stations (FOSS) will be looking to spruce up the two railway stations, by creating colourful new floral displays and running community activities throughout the year. The first Class 230 D Train has entered passenger service on the Marston Vale line this morning (Tuesday 23 April). 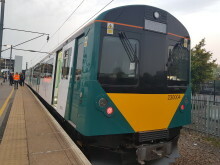 Unit 230004 is now in service on the route between Bletchley and Bedford. The train, which has been developed by Vivarail, will provide extra capacity and improved customer experience for passengers on the line. The search for the excellence in the community rail movement begins today (17 April 2019) as entries open for the Association of Community Rail Partnerships (ACoRP) Community Rail Awards. The awards, now in its fifteenth year, celebrates and rewards the innovation and hard work from the unsung stars of the community rail movement. The rail industry is launching a new interactive map which will make it easy for passengers to find out about accessibility at stations, helping to boost their confidence to travel by train. This is part of the industry’s wider programme of work to improve access to rail and deliver long-term change. Over £1m of revenue has been recovered from ticketless rail travellers using London Northwestern Railway and West Midlands Railway services over the past 12 months. Revenue protection managers at the train operators recovered a total of £1,284,746 of unpaid fares during the financial year to April 2019. London Northwestern Railway passengers are being advised to plan ahead if they intend to travel this weekend (from Friday 19 until Monday 22 April). Essential planned improvement work will be taking place at London Euston, Liverpool Lime Street, and on the West Coast Mainline between Rugby and Birmingham International. 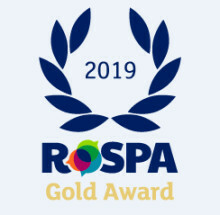 A Gold Award for health and safety practices has been presented to West Midlands Railway and London Northwestern Railway. The train operators have been recognised for an ongoing commitment to ensuring that staff, customers and contractors get home safely at the end of every day. ​A report out today (11 April) has revealed that a hidden army of 8,500 ‘community rail’ volunteers give nearly 400,000 hours a year to bring local railway lines and stations back into the heart of their communities – promoting sustainable travel, empowering communities, and benefitting health, wellbeing and social inclusion. Stechford station in Birmingham is being fitted with new lifts, ramps and a footbridge to make it more accessible for West Midlands Railway passengers. Jess Phillips MP visited the site on Friday 5 April to see the progress on the £3.9m project so far. Three stations operated by West Midlands Railway will benefit from funding to introduce vital upgrades to provide step free access to all platforms. Smethwick Rolfe Street, Wellington and Worcester Shrub Hill have all been chosen to benefit from Department for Transport (DfT) ‘Access for All’ programme funding. ​Passengers travelling to and from Kings Langley station will benefit from funding to introduce vital upgrades to provide step free access to all platforms. The station has been chosen to benefit from Department for Transport (DfT) ‘Access for All’ programme funding. The platforms and waiting areas at Hagley station have been brightened up by a local art group. A set of ten original pieces created by Hagley Art Club, are featuring in a new 'On Platform Art Exhibition' - the first of a number planned for railway stations across the West Midlands. ​Commuters at Milton Keynes railway station have been reminded about a range of security measures in place to keep passengers and belongings safe on the railway. Over 400 people passing through the station last week attended special passenger security awareness events, which took place during morning and evening peak times on Monday 25 and Tuesday 26 March. ​Commuters at Wolverhampton railway station have been reminded about a range of security measures in place to keep passengers and belongings safe on the railway. Over 200 people passing through the station last week attended special passenger security awareness events, which took place during morning and evening peak times on Wednesday 27 and Thursday 28 March. What’s changing when Euston station is closed over the Easter and early May bank holidays? Euston station will be closed over the next two bank holidays to make passenger flow much smoother through the station. Platform ramps will be widened, retail units will be removed, and staircases will be updated to ensure customers can get between trains and the concourse quickly and safely. ​Dragons, knights, princesses and their families are invited to a special St George’s Day celebration at Stone Railway station. Writer and storyteller, Dave Tong, will be telling mesmerising tales of heroes gone by, with an interactive performance at the station’s community Centre on Tuesday 23 April. London Northwestern Railway passengers can now purchase new environmentally friendly train tickets from their local station. 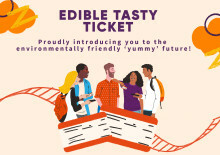 Passengers can opt for edible 'Tasty Tickets' in a variety of flavours, including Salt and Vinegar, Strawberry, Vanilla or Beef and Mustard. West Midlands Railway passengers can now purchase new environmentally friendly train tickets from their local station. 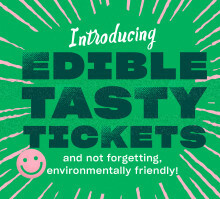 Passengers can opt for edible 'Tasty Tickets' in a variety of flavours, including Salt and Vinegar, Strawberry, Vanilla or Beef and Mustard. 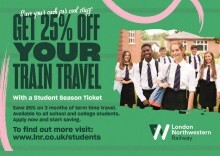 London Northwestern Railway is offering a 25% discount for students travelling to school or college by train. A special term-ticket season ticket is being offered by the train operator to and from selected stations on the London Northwestern Railway network*.